The poisonous atmosphere in Washington will put pressure on Barack Obama to cut short his Asia trip. He should ignore it. US President Barack Obama and his national security and economic teams have done a good job in the past several months focusing on US interests in the Asia-Pacific region, and taking the case for engagement in this dynamic region to Americans. Investing political capital by explaining that promoting US interests in Asia is fundamentally linked to economic recovery and that maintaining peace and stability in the 21st century lays the foundation for policy development and commitment of resources. Despite this outstanding effort, getting November right is essential for the United States and Obama in order to harvest the good work and intentions of his team. It will be a real test. 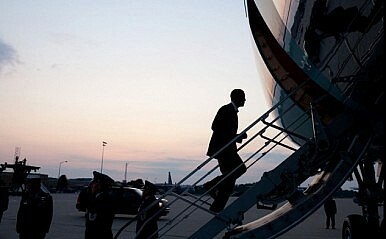 November presents a gruelling overseas schedule for the president: the G-20 meeting in Cannes in the first week, the APEC Leaders’ Summit in Honolulu in the second week, and a trip to visit stalwart US ally Australia and then the East Asia Summit (EAS) and US-ASEAN Leaders Meeting in Indonesia in the third week. Politically, this is a lot of travel to be undertaking during the coming (and seemingly never-ending) showdown with Congress over funding the government. In the worst-case scenario, a decision on a continuing resolution could take place while the president is in Bali. Domestic political staff and schedulers will hate this juxtaposition in the month that marks one year until national elections. There will be real pressure to consider cutting back the trip. However, failure to participate in these important meetings would badly undercut US national security and economic interests, effectively trading the blood, sweat, and tears of the broadly defined national security team to defend a political news cycle. What’s at stake? In the balance lies the health of the US economy and the country’s security interests. Secretary of State Hillary Clinton carefully defined the linkage between US economic engagement in Asia and the country’s well-being at the New York Economic Club earlier this month. ‘We have to position ourselves to lead in a world where security is shaped in boardrooms and on trading floors, as well as on battlefields,’ she said. Obama has supported this theme, and taken the importance of trade with Asia to the manufacturing heart of the country, Detroit, with Korean President Lee Myung-bak. The president explained that the US-Korea Free Trade Agreement (FTA) was a vehicle to create as many as 280,000 high-paying export-related jobs in the United States. His case is solid: Asia’s middle class, defined as those making more than $25,000 a year, is now more than 800 million strong. The United States has tapped only a fraction of that market to date, through free trade agreements with Australia and Singapore.